Front: Bessie Reed Dietz - Catherine Wolfie Deitz - George Dietz, Jr. 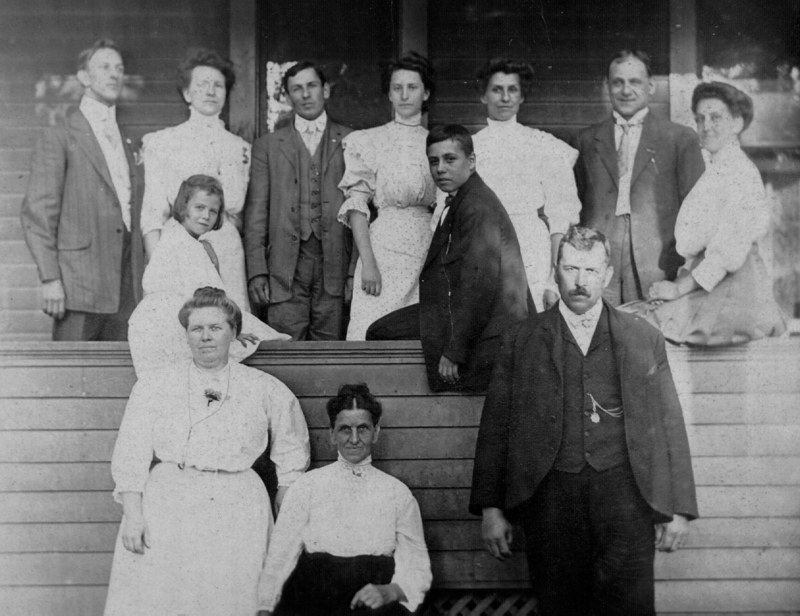 Probably taken around 1909 (my grandparents marriage date) or 1910 (my father's birth); she does not appear pregnant in the photograph; she may not have been married yet. George Deitz, Sr. (husband of Catherine Wolfie) died in 1895. Catherine Wolfie Deitz died in 1927.